Solidarity Halifax is proud to have collaborated with Ujamaa and the Kwacha House Cafe in the creation of Working While Black in Nova Scotia. 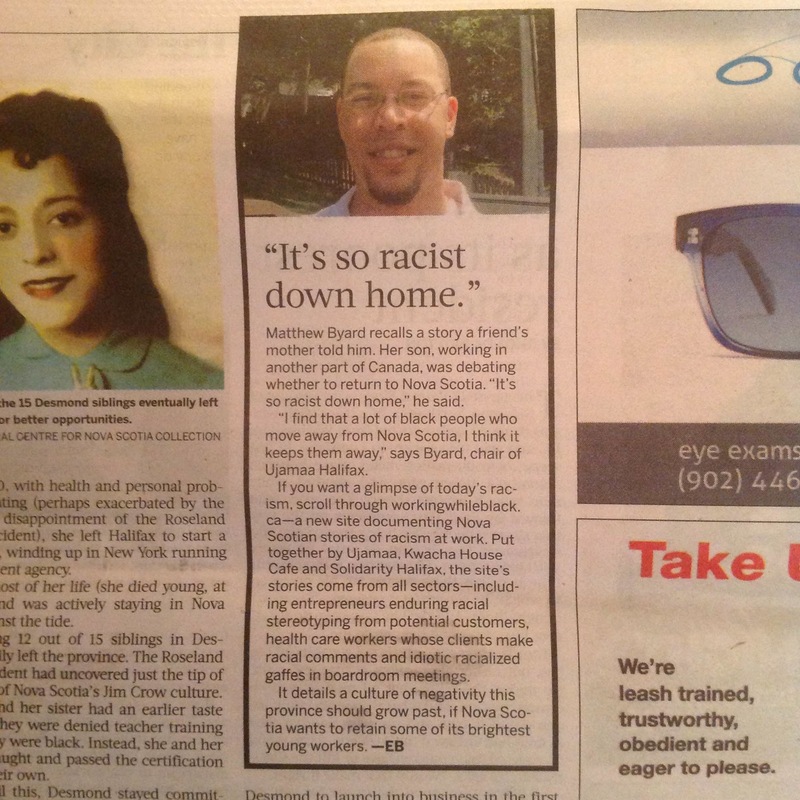 The project aims to publish anonymous stories of anti-black racism in the workplace in Nova Scotia. Publishing these stories allows workers in the Black community to know that they are not alone in their experience of racism. The website also serves as a means to circulate these stories beyond the Black community. This is especially important since white and other Nova Scotians often operate under the mistaken assumption that racism is a thing of the past.